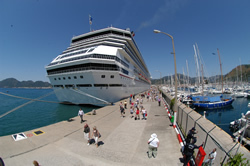 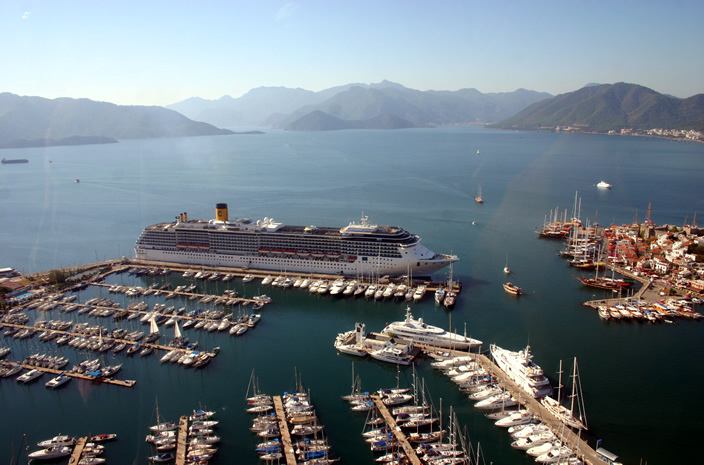 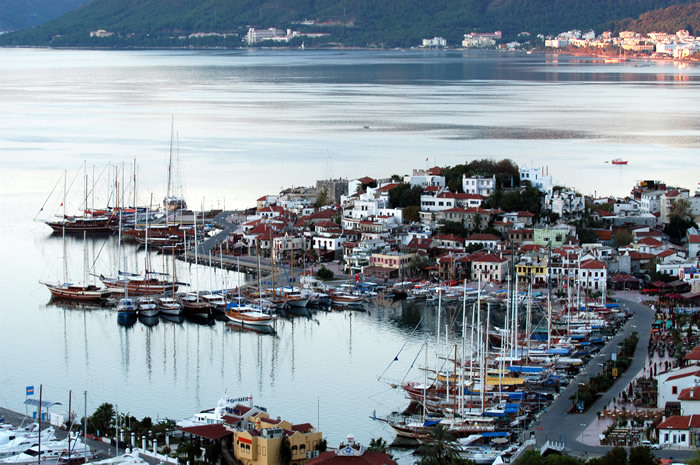 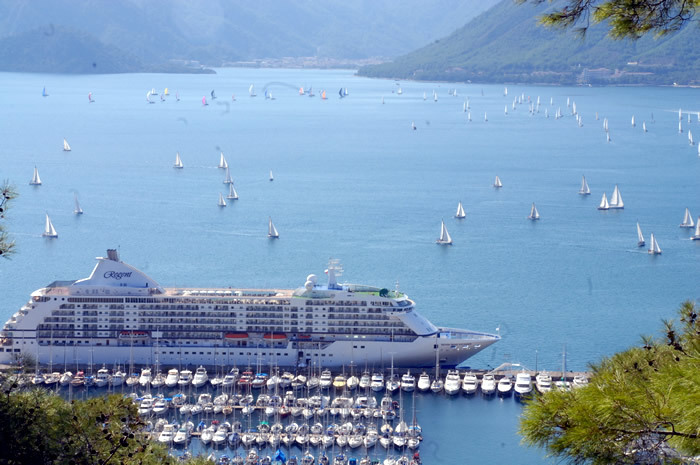 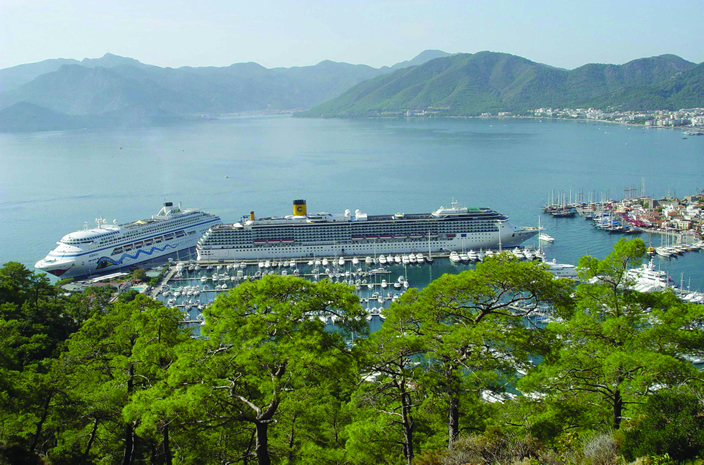 Marmaris is a hidden paradise for all cruise liners in Turkey and the Aegean. 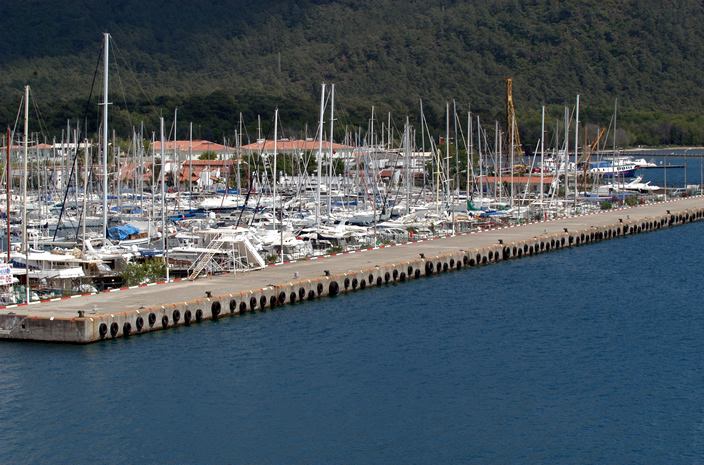 Thanks to a sheltered natural harbour which provides superb protection from all wind and sea conditions, berthing in Marmaris is pleasant and safe all year round. 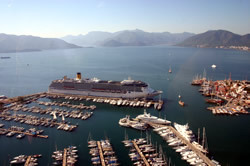 Two well-fendered quays of 305m and 134m, each 15m wide with draft up to 11m, are ideal for the berthing of all mega cruise ships. 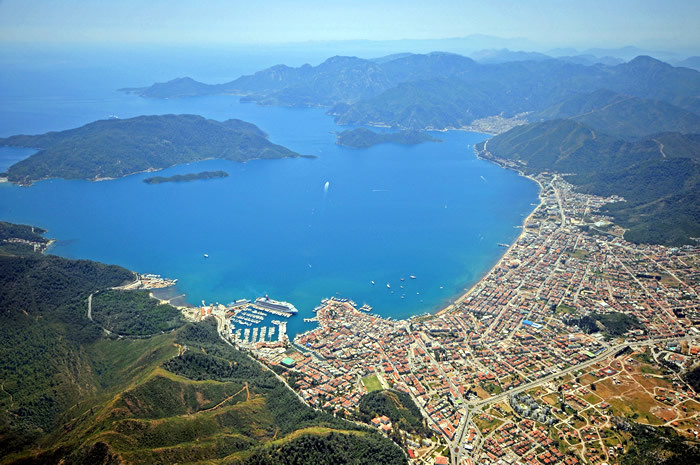 The exceptionally pleasant climate, turquoise sea, scenic pine-clad mountains, unique architecture of the old town, typical Turkish bazaar, traditional Turkish restaurants, and overall the warm, hospitable people of Marmaris make it a perfect and unforgettable stop in the Mediterranean. 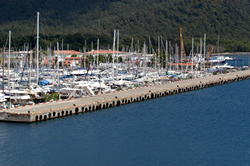 The quay is situated adjacent to a large, modern yacht marina within a few minutes walking distance to the colorful downtown marketplaces (bazaars) and unspoiled beaches. 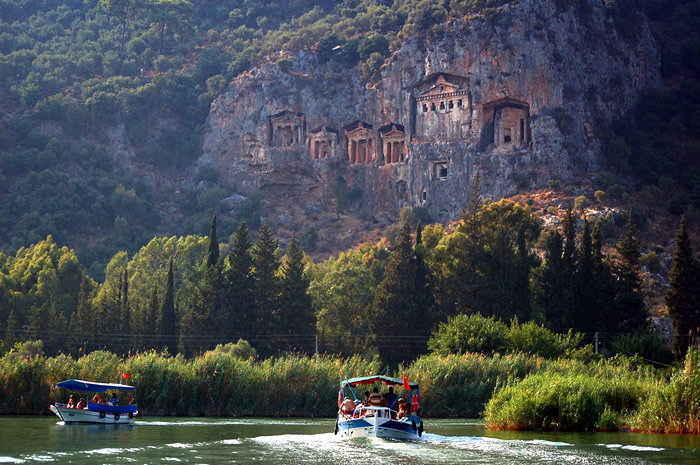 There are also many opportunities for shore excursions to nearby historic and natural sites, both overland and by traditional, locally-built wooden boats.